Chairs swivel, pens tap and gazes timidly interlock. From the back of the room I can sense the tension. I can see the hope in these high school seniors, trying to be the first ones in their family to go college. As Dr. Rebecca Nowacek, director of the Ott Memorial Writing Center, explains what colleges look for in an essay, I am immediately transported to my kitchen table. Here, I can smell the sweet aroma of pan dulce and chocolate, I can see the leaves gingerly falling onto the ground, and a blank Word document asking me, Why Marquette? I struggle to start the essay. I find myself sifting through memories of driving past Marquette as a child, hearing my dad say to me, Si le echas ganas aquí puedes estar caminando también: if you put in the work, you too can walk these streets. 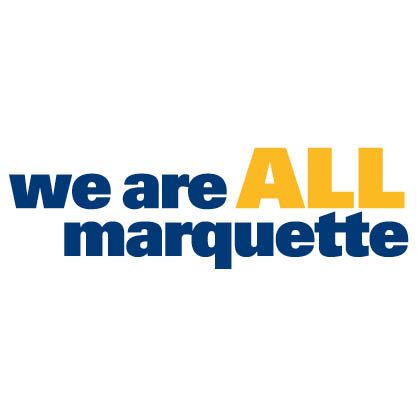 Now, as I sit down in Raynor 225, looking at all these students who, like me, see themselves walking campus, I begin to remember: Why Marquette? I remember why I study English, why I write, why I am sitting down on a Saturday morning helping high schoolers write their college essays. And it’s quite simple: I believe that college is the best way to actualize your intellectual potential. I want students to have an opportunity to receive a college education, just like I did. I have been in their shoes, I have the felt the pressure to make family, friends and oneself proud. And I think that the best way to help the next generation of students is by sharing my knowledge and experience. 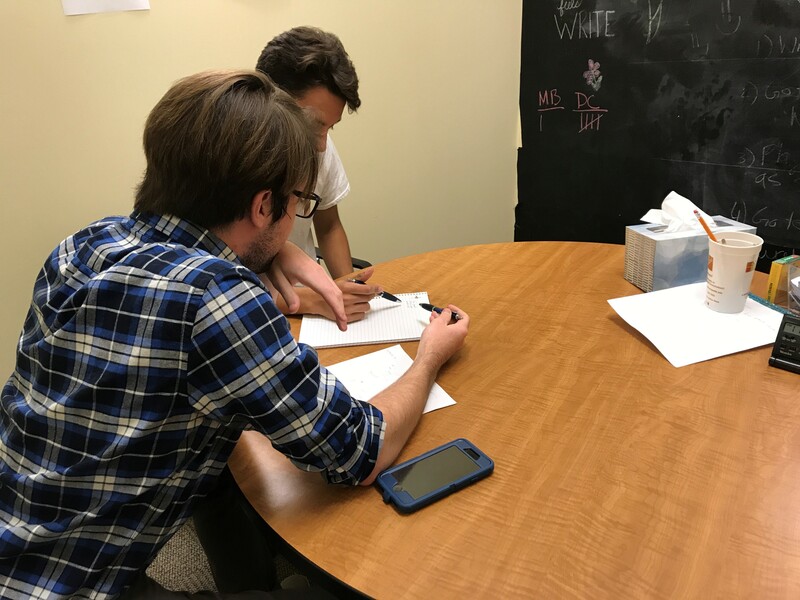 New this year, the College Essay Writing workshops are a collaboration between the Office of Undergraduate Admissions and the Ott Memorial Writing Center. My role is that of high school connection coordinator. I oversee the outreach of our services beyond the Marquette campus. This workshop is designed to help first-generation students develop their college essays, so they can lessen some of the stress associated with the college application process. This workshop attempts to answer questions they may have about college and allows them to work with current Marquette students who have experience on campus with tutoring. There have been three workshops so far, this year, with some planned for next semester. Hopefully this year serves to launch other efforts to help first-generation students. As the workshop progresses, I get the opportunity to talk to some of the students individually. Students tell me why they want to go college, how they imagine their future, and what to include in their essays — I go back to that kitchen table. I see my brother running around, my father cooking and asking me if I needed any help, even though he knew he couldn’t help. I tell the students to tell their stories; to be unafraid of who they are. That this writing sample is the toughest hurdle to jump through in this process. I tell them to keep in mind that this essay is a snapshot, a conversation between them and their future self. As the workshop comes to an end, the students come up and thank me for helping them. But in reality, I have to thank them. Their struggle is my struggle. I am not much different from them. I feel grateful for this opportunity to help, and I truly hope to walk these streets with them next fall.